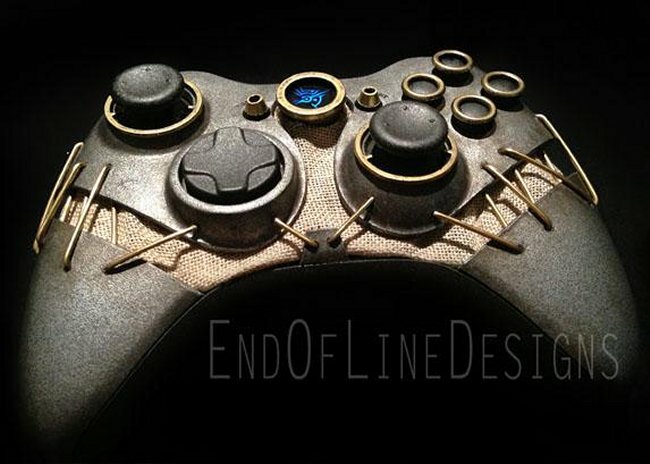 We’ve seen our share of customized Xbox controllers, but this Dishonored-inspired Xbox 360 controller is one of the best. It was designed by Devin Smith of End of Line Designs and this is not just some painting or skinning of the controller. It is a real work of art. As you can see, almost every component on the controller is custom: the buttons, the grips and even the Microsoft Xbox logo with the Dishonored symbol which looks like it lights up. The metal “stitching” effect is awesome, but I wonder if it makes playing a pain. Great work Devin. This is a beauty of a controller.